Carpet Tiles offer the luxurious look of wall-to-wall carpeting. Carpet Tile is easy to install and offers the flexibilty of replacing an area without having to replace the entire carpet. Carpet Tile is practical, versatile and hardwearing in any situaton. Carpet Tiles (also known as Carpet Squares) offer one of the best values in floor covering. 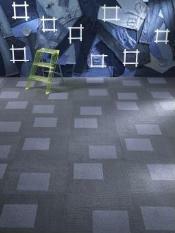 You can use Modular Carpet Tiles around pools, in basements, offices, playrooms, porches... almost anywhere! So whatever your needs are, Carpet Tiles are a must to consider for covering your floors.